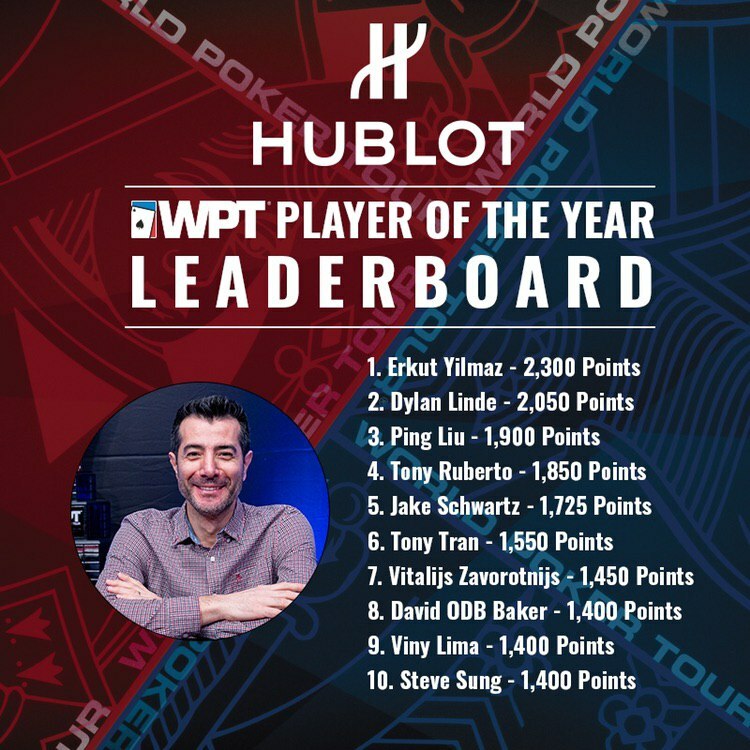 Being at the top of the Hublot Player of the Year standings is an enviable position for most poker players, but staying there is a different matter – especially with nine other players within 900 points. 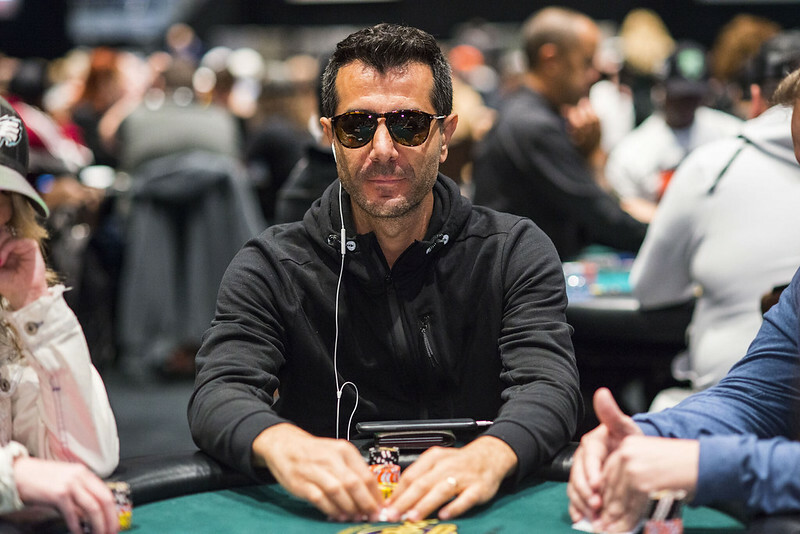 Erkut Yilmaz fired his third bullet on Day 1b of the WPT Seminole Hard Rock Poker Showdown. He knows that one win by anyone in the Top 10 could wipe out his lead and send him backward, so he has some extra incentive to keep cashing in the remaining three events this season. Yilmaz has two wins this season: the WPT Borgata Poker Open for $575,112, and the WPT Rolling Thunder for $303,920. With 2,300 points, Yilmaz stands 250 points ahead of WPT Five Diamond Poker Classic winner Dylan Lynde. Rounding out the top five are Linde (2,050 points); Ping Liu (1,900 points); Tony Ruberto (1,850 points); and Jake Schwartz (1,725 points). Staying in the hunt also offers some rewards for others at the top of the standings. Second and third place earn $7,500 and $2,500 in WPT buy-in credits. Yilmaz hopes for a deep run here at the Seminole Hard Rock, and plans on playing the last two events this season at Choctaw and ARIA in May. In the Showdown, the third bullet has worked out better than his first two so far. Next season, Yilmaz says he will play a little fewer events on the WPT, but still plans to be a regular. He also has big plans this summer at the World Series of Poker, where he’s been playing the last seven years. The success on the WPT now has him interested in doing some bracelet hunting. With two WPT titles already in Season XVII, that doesn’t sound like a bad idea. Could two bracelets also be in his future this summer? Sean Chaffin is a freelance writer in Crandall, Texas, and his work appears in numerous websites and publications. Follow him on Twitter @PokerTraditions.